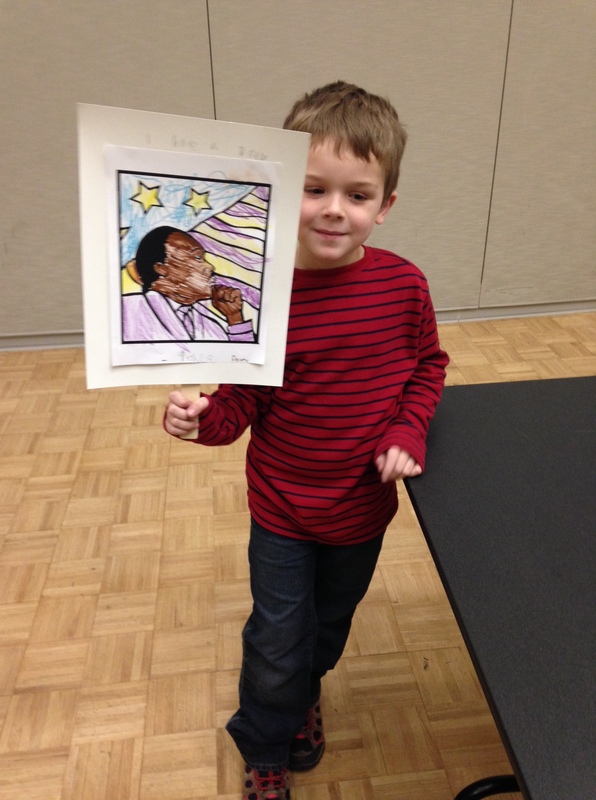 I work with second graders, and today they went on a field trip to CWU to learn about Martin Luther King, Jr. Their teachers kindly invited me to bring Davey, and I am so glad that I did. He learned so much. 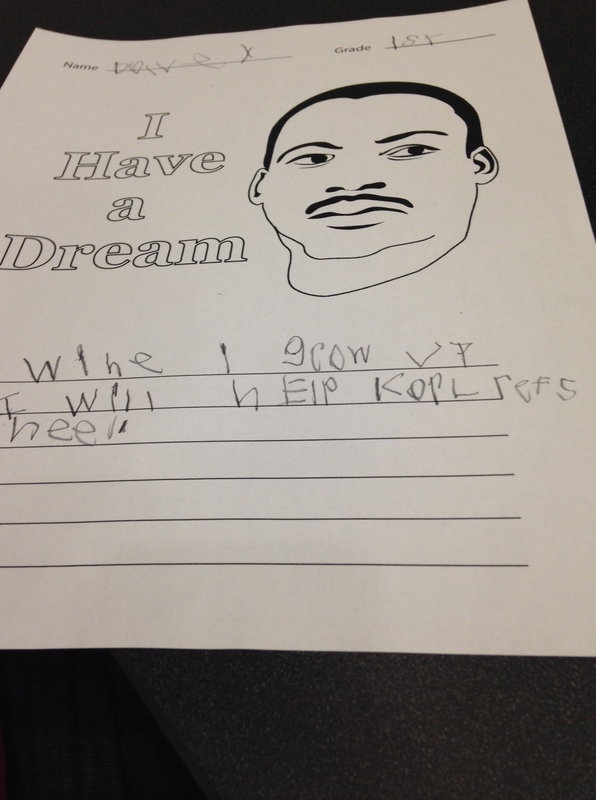 The college students talked to the kids about Martin Luther King, Jr. The kids shared what they knew about him, and they asked many great questions. This was followed by three break-out activities where Davey made a poster, wrote about his own dreams, and talked about respect for others. This all made quite an impression on Davey. We talked about MLK on the way to the presentation, and I tried to explain the idea of segregation. I gave him some examples like Black people had to use separate water fountains, had to sit separately at the movies, and had to go to different schools. He couldn’t really understand it, but he definitely decided that it was not right. The students were asked to write about their own dreams as well. Davey wrote about his dream of being an oceanographer. He wrote that “When I grow up, I will help coral reefs heal”. Then today when he got back to school, he checked out a wonderful book written by MLK’s sister called My Brother Martin. After we read the book, he had to write about it in his reading journal. It’s pretty special to hear that sweet 7 year old voice read Martin Luther King’s speech and to see what an impression these words made on him. This entry was posted in Family and tagged Jr., Martin Luther King by cpeezers. Bookmark the permalink. Wow Christina, this was great to read. He is going to be quite an addition to society. What a great young man, and I must add…terrific mother! Christina! I love your blog and I love the chance to read your writing about our trip. What a sweet, smart little boy Davey is. I am so glad he was there and I love the picture of him with his sign. Also the one of the two of you! Thank you for sharing, Christina!